The USB are removable, rewrite-able, and far smaller than optical CD or floppy disks. They are easily carried and do not require special handling. Thus they are more dependable and reliable without moving parts. Their capacities have gone up phenomenally to 2 TB (Tetra Bytes). Some allow up to 100,000 write/erase cycles, depending on the exact type of memory chip used, and a 10-year shelf storage time is reachable. There are multiple patent by various companies with different features of storage. The upgrading over the years has practically replaced the compact disc( CD) . The advantages outweigh minor limitations against hard disk in computers. 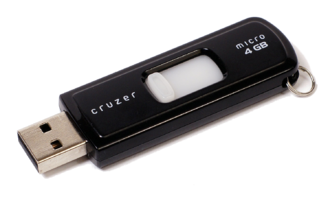 Basically a USB flash drive is data storage drive which has flash memory with USB interface. Sewing machine was made by Englishman Thomas Saint in 1790. Over the centuries they have been improved so much that sewing can be carried out automatically without holding the thread and needle by hand. 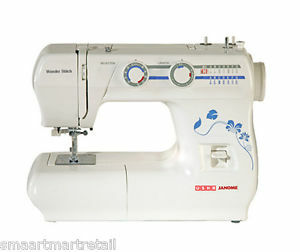 Mostly a sewing machine is used to stitch cloth or other material together by machine. The manual labour has been greatly reduced. With advent of modern times home sewing machine can have over 30 stitch functions of which the main ones are – stretch stitching, four step button holing, button fixing, rolled hemming, blind stitch hemming, zip fixing. In home scale the sewing machine is stationery and the cloth runs through the machine, but in industrial sewing the cloth runs in and out of the machine without bothering the needles and other tools. Larger works by industry can be undertaken for the benefit of world at large. The time factor has been greatly reduce. As now 75% of the world population have a mobile/ smartphone or have a direct approach. 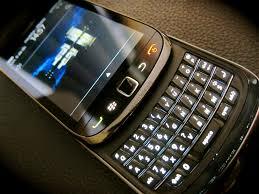 It is the most widely used gadget today. Now people have direct link to the world. With origins tracing back to Finland and Japan in the ’70s, mobile phones have fast become the most widely used gadgets in the world. It as been established that the numbers of mobile sold in first 20 years of its growth was about one billion. The next billion took 4 years and 3rd billion just 3 years. By the end of 2010 the number crossed 5 billion. Now day is not far off when complete computer (PC) functions will be run easily on these small hand mobiles/ smartphone. The real communication revolution is on as under developed countries without electrical connection in the country side will be able to join in the world’s business and culture. There are infinite possibilities through this small gadget to benefit the world at large.